We’re the place for innovative, delicious and fun treats in your neighborhood! For over 62 years, we’ve been delighting customers with our irresistible treats. We still follow the credos and innovative thinking of our founders, Burton Baskin and Irvine Robbins. With more than 6,000 retail shops in 35 countries, we’re now the world’s largest chain of ice cream specialty shops. 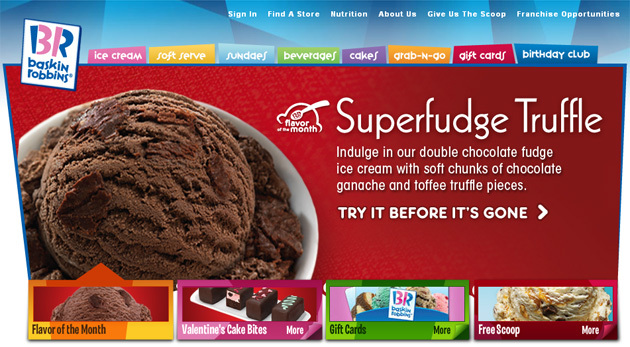 Read more about the Baskin-Robbins story. “We sell fun, not just ice cream.” — Irv Robbins, co-founder.